Lunada Bay. By volunteering, you will encourage reading and raise money . . . a win-win! books) before, during, and after school. organizing the Auction. We’d also love you to host a party! Plan and organize this annual fundraiser where students run laps to earn money for our school. Includes ordering t-shirts, collecting donations, and facilitating the event. up the MPR. Volunteer to help backstage and in the green room during the Variety Show and dress rehearsals. At Lunada Bay we celebrate Earth Day all week and culminate with a festival. Volunteers needed for various booths such as yoga, meditation, crafts, eco-friendly activities, and a smoothie bar. Travel around the world in our MPR experiencing different cultures through food, education, and samples. Choose a country to represent or use one of our pre-designed booths. A fun filled, family night where we celebrate the end of the year. A barbecue, games, and a sing along are just a few of the festivities. A team is needed to organize games/activities, decorate and set up our annual hoedown family fun night. Welcome back to school by reconnecting with old families and meeting new ones. Families bring a picnic dinner and watch a movie after sunset on the Lunada Bay field. Help is needed to set up the field for movie night, popcorn and ice cream. Help in the garden with your child's class once a month. AAYF is a school-wide art program where parents teach art lessons in the classroom. Volunteers are required to attend a monthly training at the PV Art Center and lead a lesson5 times a year. A fun-filled day where all students participate in hands on science experiments outside on our field. Help plan a science experiment to teach children or use one of our pre-planned lessons. Parents needed to organize, set up and deliver lessons. entries and prepare for the ceremony by developing a PowerPoint, decorating the MPR, or printing certificates. 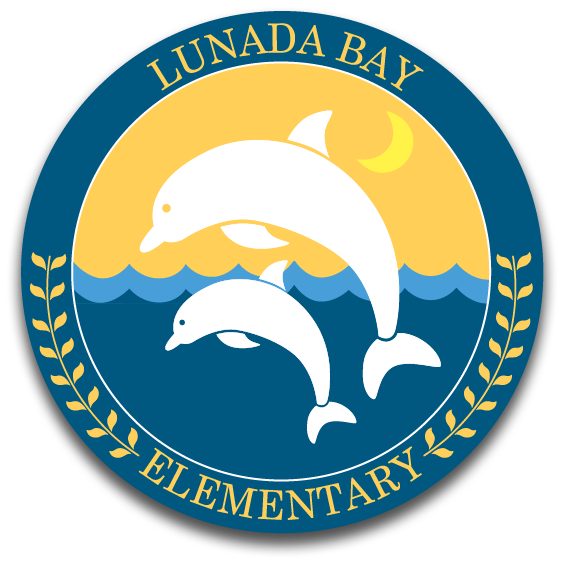 The Lunada Bay PTA Science Fair is held each year in the spring, and all students are invited to participate by entering a science project. Looking for passionate people to set up a go green program at Lunada Bay. You will have the opportunity to develop/implement a program that will have a lasting impact on our children. Awards ceremony honoring our local school and community members. Planning, ordering awards, and selection committee members are needed. Do you like to shop? If so, join our gifting committee which meets in the spring to determine how we will spend our extra funds. Perfect position for anyone that likes to spend money! One day event. Assist with checking people in and facilitating this annual drill. Liasion between the teachers, PTA, and parents. Duties include sending a weekly e-mail newsletter, collecting class funds, distributing for teacher’s gifts and parties and organizing volunteers for the classroom. Ideally, 2-3 parents per classroom. Parents gather in the MPR on the first day of school to turn in paperwork and get acquainted. Volunteers needed to set up coffee and treats on the first day of school in the MPR and help direct parents. Kinderfest allows incoming kindergarten students to meet their teacher and get to know the kinder yard. Welcome incoming kindergartners with snacks and an informal gathering on the kinder play yard.